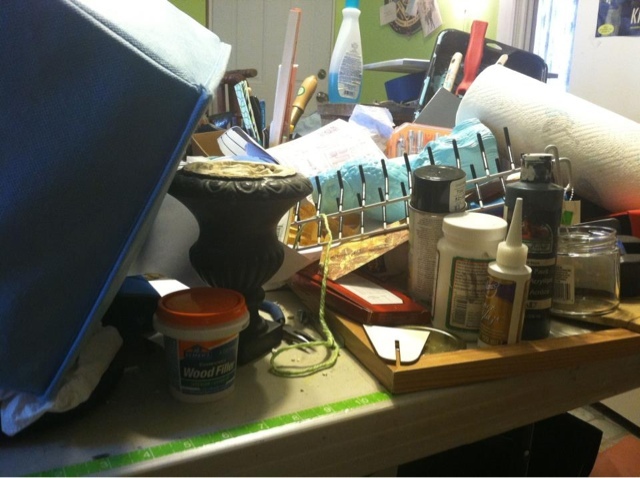 Twisted Crafts in Montana: Why can't I keep my studio clean! Why can't I keep my studio clean! 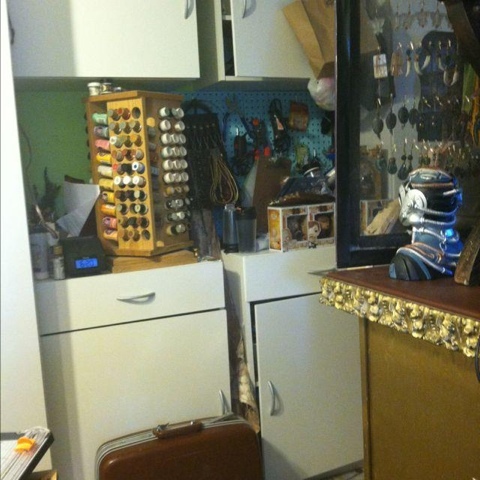 It's bad enough that I'm hoarding furniture and supplies for my new shop....but I can't even see my desk anymore! I'm currently working in my living room. Ugh!